HTC showed the DROID Incredible 4G LTE (yes, it really has that long of a name) at CTIA this past year, and while it isn’t technically part of the One series of devices, it definitely is worthy to be. The Incredible 4G LTE is just as much of a beast as any one of the One series devices or the Evo 4G LTE, who, like this device, has very similar specs but doesn’t carry the name. It only has a 4-inch screen just like the Incredible 2 before it, but that’s what differentiates it from the rest of the 4.3-inch and higher devices. Under the hood you’ll find a 1.2 GHz dual-core Snapdragon S4 processor and up to 32 GB of expandable memory. 8MP is the pixel count for the rear camera, and a front-facing camera is present as well for all of your video chatting needs. Beats audio will ensure that the listening experience meets the standards of today’s high-quality music and picky ears, and that’s the case whether you’re playing through headphones (providing you have a decent set, of course) or the stereo speakers. The DROID Incredible 4G LTE will also come with Android 4.0 ICS with Sense 4 over top, and a promised Jelly Bean upgrade in the future. 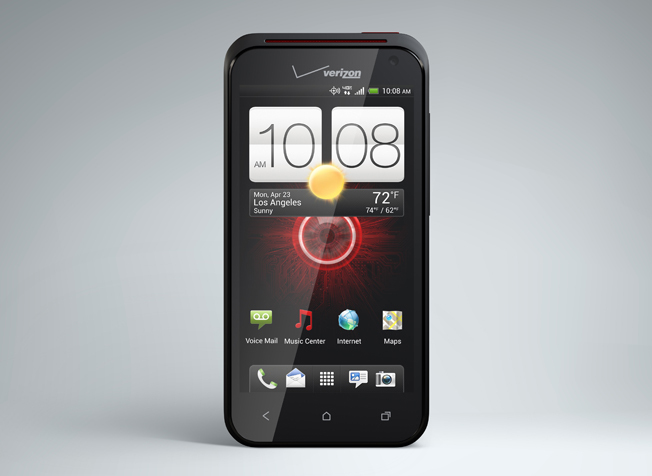 This device will hit Verizon Wireless July 5 for $149.99 after-rebate, on contract of course. For anyone looking for a device with a smaller screen but very competitive specs on Verizon Wireless, the DROID Incredible 4G LTE may be for you.